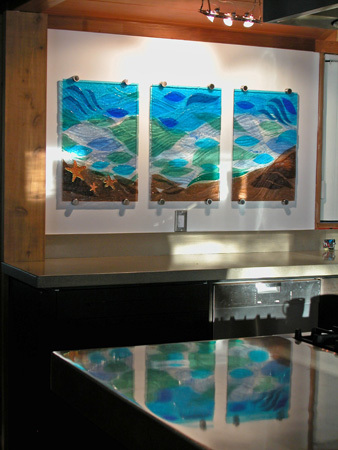 These fused panels incorporate a new concept in art glass...painting with light. Designed to be installed parallel to a solid wall and offset by 1-2 inches, these panels can be hung anywhere in a home or office that a painting can be hung...art glass is no longer confined simply to windows. Combined with specialty lighting the effect is both dramatic and beautiful.